Libyan Revolution Blogs, Tweets, etc. Librarians are all too familiar with the profusion of guises in which the name of Libyan dictator Qaddafi may be encountered in the Latin alphabet. (The Library of Congress Name Authority File (LCNAF) preferred form of entry — Qaddafi- lists 72 alternate spellings). For the rest of the public out there it’s still mystery that still requires explanation. In 2009, ABC News listed 112 different ways to spell Gaddafi, which have appeared in various news outlets. The leader’s name was even the topic of a 1981 Saturday Night Live sketch, offering the most creative spelling a one-way ticket to Tripoli. Qaddafi gave a live interview with Al Jazeera in which he expounded on the meaning of the word “democracy.” According to him, the word “Democracy” is actually an Arabic word that means to sit in one’s chair, because apparently “cracy” is an Arabic plural that sounds like the word for chairs “karasy = كراسي” … and “demo” ديمو in Arabic means “to stay” or “to last a long time.” The word “karasy” (cracy) in Arabic (pl.) usually refers to the thrones or seats of power of ruling dictators, who tend to “sit on the chair” for life. Gaddafi, who has been on the chair himself since 1969, seems to understand that democracies are meant to be dictatorships, and vice-versa. “A system where you have a party, a president and a government is ridiculous,” he said. He ended the interview with the usual plug for his book, The Green Book (“all this is in The Green Book,” he concludes), a manifesto for government based on the “Third Universal Theory,” which proposes a solution to economic and social problems for humanity. If followed correctly, governments and societies would look much as Libya does. Several moral figures, both inside and outside Libya, backed the pro-democracy protesters and the spreading rebellion against his regime. On Tuesday (March 1st), one of Libya’s most prominent religious scholars issued a fatwa against the 500 dinars now being handed out to every Libyan family. In his fatwa, Sheikh Al Sadeq Al Gheryani said the money was tantamount to accepting a bribe from the Kadhafi regime. 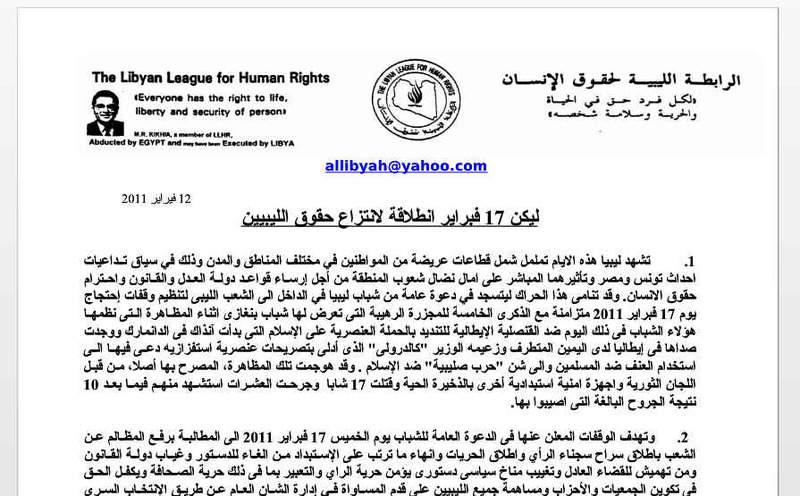 Such a fatwa is likely to be implemented by his followers, who represent a large section of the Libyan people. This fatwa was endorsed later by Sheik Ali Mohammed al-Selabi, who is considered to be the most influential religious scholar among Libyans abroad. Refused an appeal from one of Colonel Gaddafi’s sons, Saadi el-Qaddafi, to issue a fatwa banning demonstrations against his father. “Saadi, Qaddafi’s son, asked me to say a word against the protests; I refused to back him because they were killing innocent people, killing old men and peaceful demonstrators.” The cleric issued a fatwa against Gaddafi instead, saying that “it’s a religious obligation” to fight oppressors and to provide medical and humanitarian help for the protesters. The Grand Imam of Al-Ahmed Al-Tayeb, head of al-Azhar University in Cairo, calls for the Libyan army to disobey orders Gaddafi. A careful Wiki-study of Saif al-Gaddafi’s PhD thesis at the London School of Economics yields an astonishing amount of suspicious, non-cited similarities to other texts. 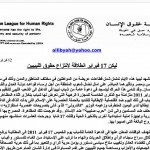 An inquiry into the LSE’s links with Libya and lessons to be learned (October 2011) This Report has been prepared by the Woolf Inquiry, an independent inquiry appointed by the Council of the LSE [London School of Economics] to establish the full facts of the LSE’s links with Libya. At the time Tony Blair was anxious to secure a rapprochement with the Libyan regime. The call from the Foreign Office to Professor Valpy FitzGerald, the head of Oxford’s Department of International Development, came in the spring of 2002. … On the international academic circuit the LSE’s connections with the Gaddafi regime led to it being called “the Libyan School of Economics”. Students at the London School of Economics and Political Science are protesting its association with the Libyan government of Col. Muammar el-Qaddafi, saying it should pay back £300,000 ($487,600) [more like £1.5m; see below] it accepted from a charity connected to the Libyan ruler, reports the BBC. The students also want the university to revoke the alumni status of his son Seif al-Islam, who received a master’s degree and a doctorate from the school. The London School of Economics has said it is reconsidering its links with Libya “as a matter of urgency.” In a statement, the school said that it “regrets the association of the school’s name with Saif Gaddafi and the actions of the Libyan regime” and that it would not accept more money from the Gaddafi International Charity and Development Foundation. It said that about half the £300,000 had already been spent and that it was deciding what to do with the remainder… Bookmark the permalink. According to The New York Times, the consulting firm Monitor Group, based in Cambridge, Mass., acknowledged in a statement that part of the work for which it had been paid a fee of $250,000 a month by the Libyan government included helping Saif Qaddafi with his doctoral dissertation. It’s been a known fact in academic circles for quite some time that Saif Gaddafi’s thesis at The London School of Economics contains many instances of plagiarism (see: Saif Al-Islam Gaddafi Thesis Wiki). It had been also always assumed that the degree was awarded in part as quid-pro-quo for the Gaddafis contributions to the school. Although LSE has done the right thing by diverting donations to establish a scholarship fund for North African students, it all sounds like a case of chickens coming home to roost. But why single out academic institutions here when you have also politicians, businessmen, lobbyists and assorted others shamelessly double dealing with the dictator’s clique? Yet this was the man [Saif al-Gaddafi] promoted as the entirely acceptable face of a 40-year-long dictatorship, not least in this country. He was feted by the last government, especially by Peter Mandelson, with whom he would socialise in the grand style. He was also fawned on by academia. Nine months ago, he was accorded the accolade of giving the Ralph Miliband lecture at the London School of Economics (presumably the late professor’s sons, David and Ed, were invited along). Perhaps this had something to do with the fact that Saif al-Islam Gaddafi’s very own foundation had written out a cheque for £1.5m to the LSE. Or perhaps not; anyway Professor David Held of the politics faculty at the LSE gave an excruciatingly smarmy introduction, telling the audience that “the Gaddafi Foundation devotes itself to humanitarian work … especially in the field of human rights” and that “deep liberal values are at the core of his inspiration”. Tell that to the unarmed demonstrators under machine-gun assault from the Gaddafi family’s mercenary shock troops. Yesterday, the LSE rushed out a statement saying that “the school has had a number of links with Libya in recent years. In view of the highly distressing news from Libya over the weekend, the school has reconsidered those links as a matter of urgency“. Too late! 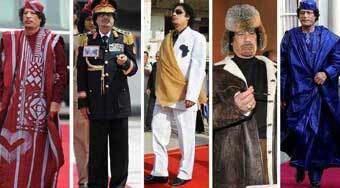 Muammar Gaddafi, the devil, you’ve no place to escape except under the sea water. but there is also cruel sharks waiting to welcome you in to their belly. 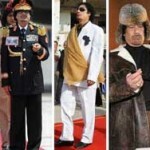 at least try to do one god job before death, that is pray apology to all the libyans regarding your bad job. and urge to them to stay with peaceful democracy which you ignored during your 42 years rule. This is incredibly interesting, some things we have to really review and see. Libya being a country that seemed to be doing quite well before the onset of this revolution. I believe all things will come around, and thus people will properly be caught and punished for the crimes they have committed.